Lemongrass, Lavender and Rosemary. Gardenia, Sandalwood and Vanilla. The soaps we refer to as 'Soap Shed Classics' are simply some of the first soaps we ever made. They are part of our history, and each soap has had the opportunity to develop a strong customer base over all these years. 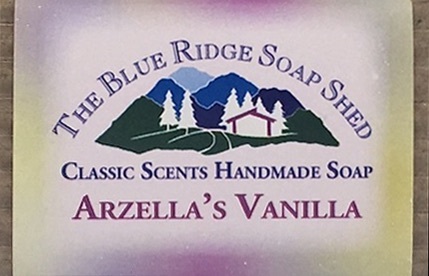 Soap Shed Classic Soaps are tried and true, and why you'll find so many of our Samplers and Gift Sets featuring these scents: Lemongrass, Lavender and Rosemary, Gardenia, Sandalwood and Vanilla. Although we now make goat milk and shea butter versions of all these scents, the original recipe soaps are still the strongest or more intense in fragrance. Try them yourself and see! Cleopatra's ancient aphrodisiac of sandalwood combined with the sweetness of Vanilla in our goat milk recipe. For ageless, soft skin every day of the year, our Gardenia Soap is made with sweet almond oil and scented with Gardenia. Grandma's Garden soap celebrates the old fashioned scents of lavender and rosemary, accented with ground lavender flowers. Sweet Lemongrass Soap is a soothing skin soap scented with Lemongrass essential oil.